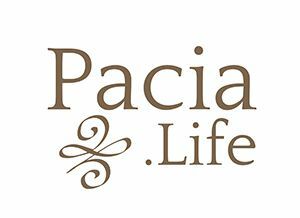 As Founder/Executive Director of Pacia Life at Portland Station Transitions, a Pacia Life Collaborative, Sarah Persha, MA, Young Adult Transition Specialist, is a mental health specialist and Educational Consultant. Sarah has worked with teens and young adults and their families for over 25 years in both schools and programs, and in private and collaborative practice in Bend, Lake Oswego and Seattle. For Emerging Young Adults, Sarah and the team at Portland Station provide the support services often needed to successfully navigate the task of healthy independence in the launching years: high school completion, continued Life Skills curriculum, college and career development, internships, vocational exploration, study abroad and Gap year opportunities. In addition, working with emerging young adults who are striving for social and emotional health as well as career exploration, Sarah has created a unique model in Portland Station that invites each student to design their personal plan with their team. This model offers point of performance executive function support while guiding young adults into community integration and contribution, connecting them with local resources and mentors in their areas of interest for greater understanding and exposure in both directions, both for the student and for the community of mentors. Originally from San Francisco Bay Area, daughter of a wooden boat builder and a former airline executive turned fiber artist, Sarah traveled in Europe, Middle East, Israel, sailed the Mediterranean, drove around Mexico and Canada, and settled in Oregon ready for college. Portland Community College and Lewis and Clark were her undergraduate campuses, then the Leadership Institute of Seattle at Bastyr University for her Master’s degree in family systems theory/psychotherapy. Sarah serves the non-profit American Gap Association, headquartered in Portland, Oregon, as Director of Education, interfacing with experiential education programs worldwide and educating teams of global education leaders in current issues and trends relating to emerging young adults. Sarah maintains a 28 year relationship with IECA (Independent Educational Consultants Association) that began as an admission director, and now as Professional Member and committee member. HECA membership (Higher Education Consultants Association) and NATSAP affiliate membership (National Association of Therapeutic Schools and Programs) are maintained yearly. In addition, she is certified with national fitness organizations, and adds her experience in healthy physical fitness practices to her team leadership and coaching sessions with her students. She is an accomplished artist (jewelry designer and textile arts) and outdoor enthusiast.